Somewhere on YouTube, there is somebody who makes these huge, extended versions of every song from the Undertale soundtrack, and let me tell you: it’s great. That game’s soundtrack is my jam, and these extensions are done so smoothly that you’ll only notice where it repeats if you’re looking for it. The only way this music could have been better is if I’d actually heard the music as I was playing. See, I’ve got this bad habit of muting games and listening to my own music while I’m playing them; it started in high school when I didn’t want to get in trouble for playing Half-Life 2 in class, and has persisted ever since. I’ve always wondered if others do this, and apparently others on the team have been thinking about the same question, so we decided to ask you all about it! As you can see above, it turns out that most of you listen to the game’s music as you’re playing. 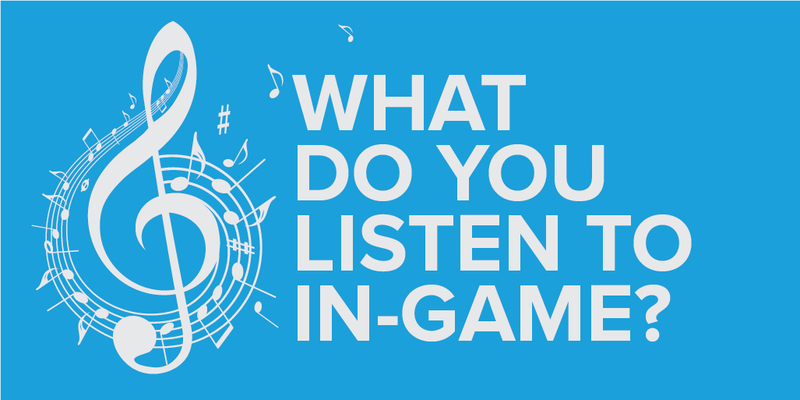 It allows you to get the complete experience of the game, and musical cues are frequently used to heighten big moments … speaking frankly, if you want to have a good time with your game, it probably makes more sense to be listening to the game’s music. So, what does this mean for Gears of Eden? Well obviously, we already planned to include music with this game; it’s been a standard since Super Mario Bros. and it’d be silly for us to try and shake that up. 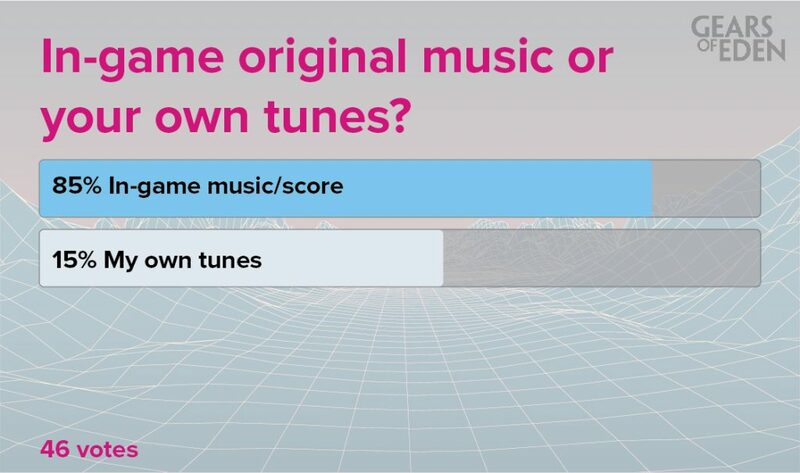 No, what’s more important for us to know is that 15% of players would rather listen to their own music. This isn’t a shot at the music in video games, it’s just how they like to play, and we should acknowledge that! Options exist to help players coming at it from a more unique perspective, and you can be sure that we’ll have volume sliders when Gears of Eden comes out so that we can help this minority of gamers as well. That’s all for this week’s Fan Feedback, but as always, we have another poll for you to provide feedback on! See, we want the player to be able to collect water in Gears of Eden, but we can’t decide what to call it! Help us out, and follow us on Twitter or Facebook to see how we feel about the subject in next week’s Fan Feedback article! Thank you so much for reading and continuing to support us!